The bamboo content of this yarn makes it good for people whose feet tend to run a little warm. It also creates a subtle shimmering heathered effect, because the acid dyes used for wool don’t do anything to the bamboo. 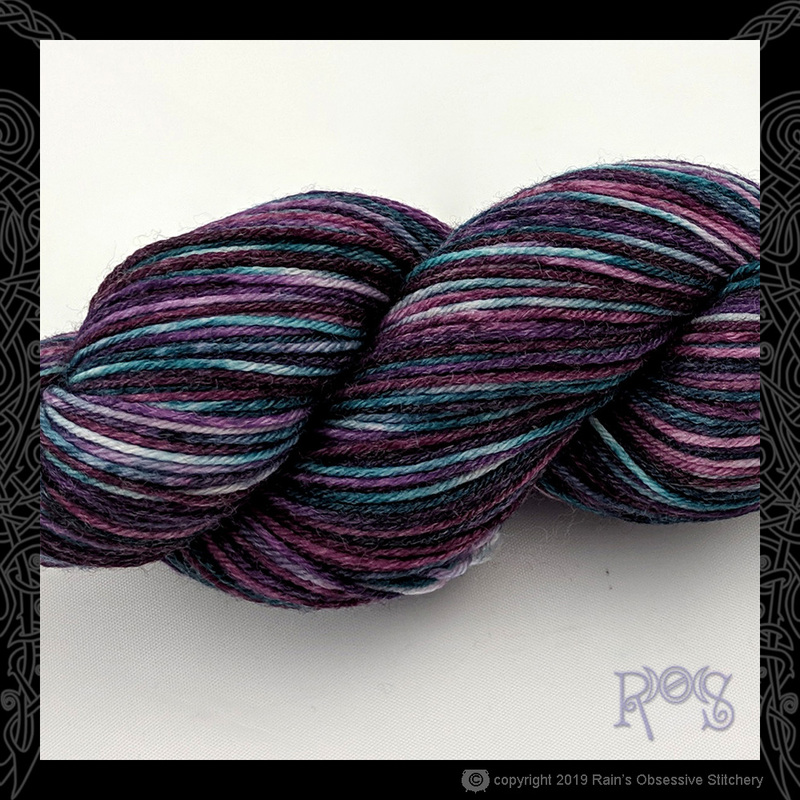 Check out Kim on Ravelry to see all the beautiful projects made from this yarn! For even more possibilities, you're welcome to choose your favorite colorway shown on another yarn* or fiber. Just keep in mind that they all take dyes a little differently. Colorways shown on Amanda, Charles, Cordelia, Fred, Jill, Madeline, Pippi, or William will be most true on Kim.